Built in 1892, once the states largest flour mill and now transformed into a gallery with artisans on site representing many crafts. Discovered in 1894. 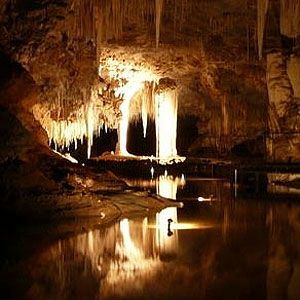 As its name suggests, the cave is immense, with vaulted chambers and subterranean canyons. Fossilised marsupial skeletons have been found here, including many species now extinct.